After examining an array of approaches to determining a spending rule for retirees, the authors propose the annually recalculated virtual annuity. 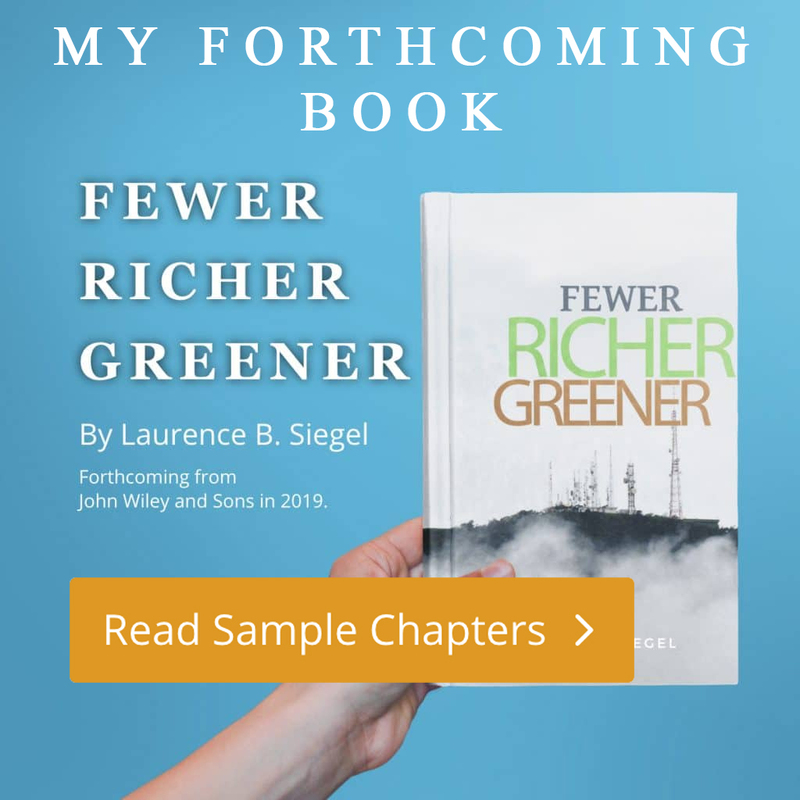 Each year, one should spend (at most) the amount that a freshly purchased annuity—with a purchase price equal to the then-current portfolio value and priced at current interest rates and number of years of required cash flows remaining—would pay out in that year. Investors who behave in this way will experience consumption that fluctuates with asset values, but they can never run out of money. 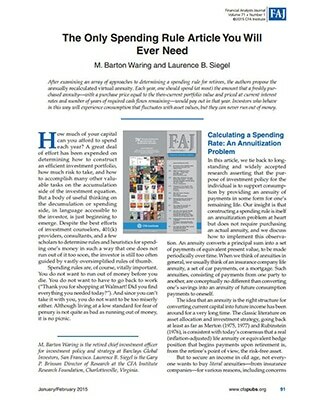 “The Only Spending Rule Article You Will Ever Need,” with M. Barton Waring, Financial Analysts Journal, January/February 2015.